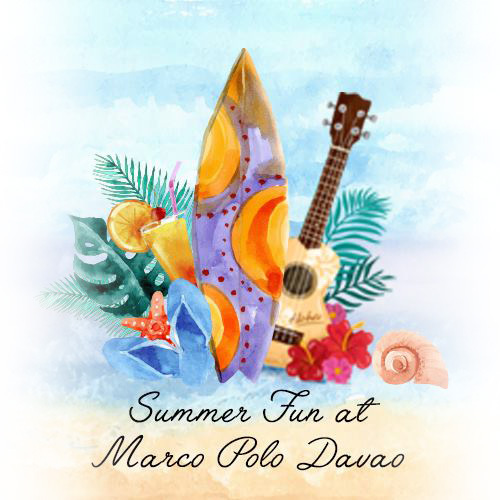 Marco Polo Davao, the premier 5-star hotel at the heart of the City, will kick off summer with a 2-day summer fair. The Summer Fair offers up to 50% savings on rooms, restaurants and other hotel deals. Vouchers will be sold only on April 26 & 27 from 9AM until 5PM at the hotel lobby. Plan a staycation with us and choose from our standard rooms and suites. 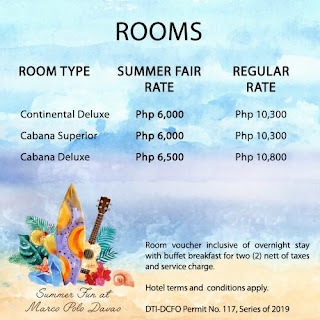 Room voucher starts at Php3,800nett inclusive of an overnight stay with buffet breakfast for two. Room vouchers can be availed from April 26, 2019 until April 25, 2020. The hotel’s international buffet restaurant, Café Marco, is offering 2+2 Buffet Lunch vouchers at Php1,900nett and 2+2 Buffet Dinner voucher at Php2,600nett. Polo Bistro will be offering a dining voucher, a set menu of 4-course meal for one person, for Php1,300nett. 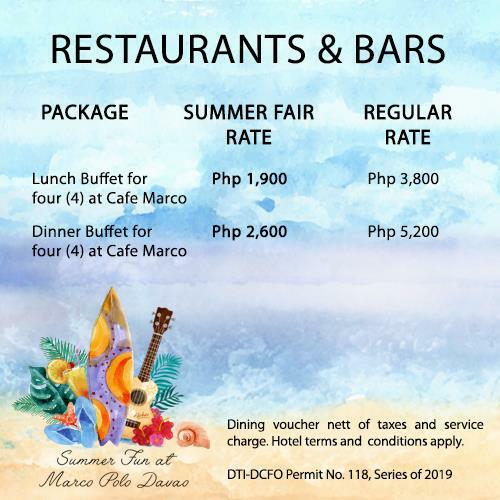 Dining vouchers can be availed from July 1 until December 31, 2019. The hotel’s Ciabatta bread and specialty wines will also be sold at special prices.